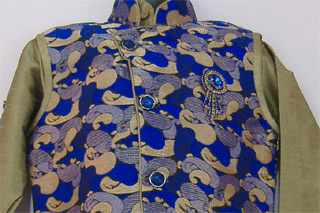 Latest design Nehru jacket style Kurta suit. 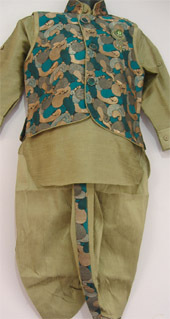 Comes with a hhoti and a balloon pant Suit. 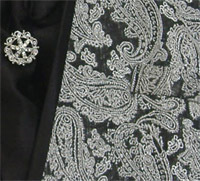 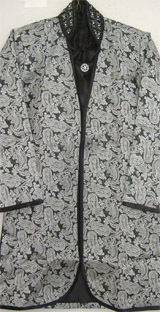 Boys Sherwani suit in black and silver Comes with black silk scarf with a brooch. 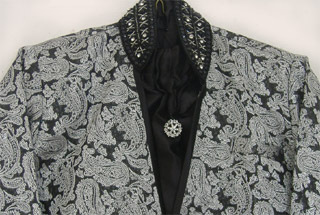 drawstring churidar style black pants in cotton-silk. 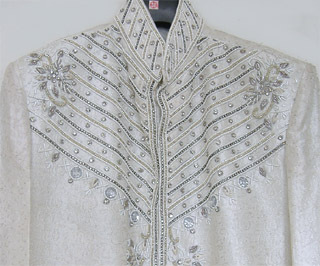 Perfect for formal occasions. 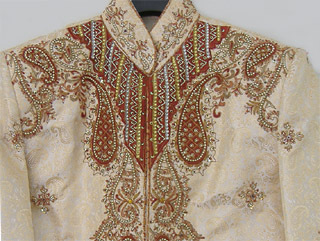 Boys Sherwani suit with beautiful stole. 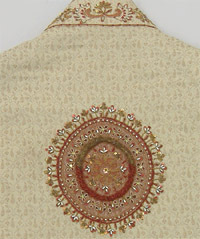 Comes with off-white drawstring churidar style pants in cotton-silk. 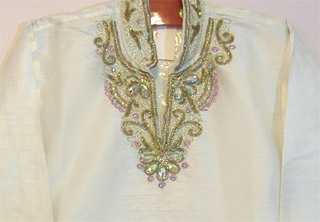 Perfect for formal occasions. 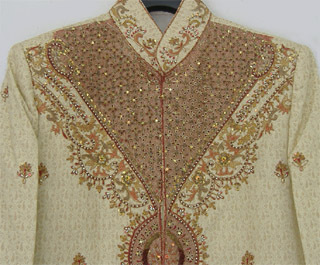 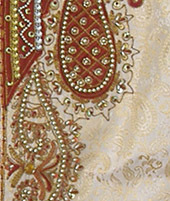 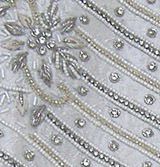 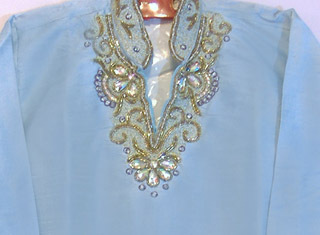 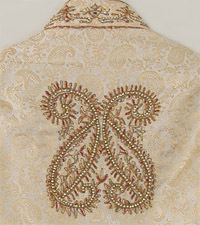 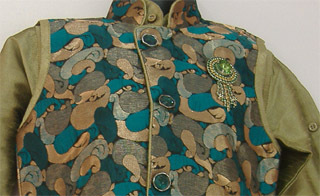 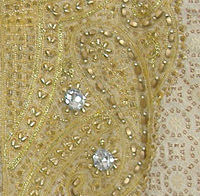 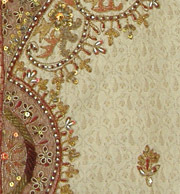 Boys's sherwani suit with extensive sequin embroidery all over. 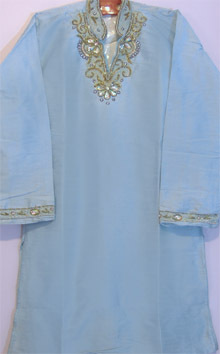 Comes with loose churidar style white cotton pants (with waist drawstrings). 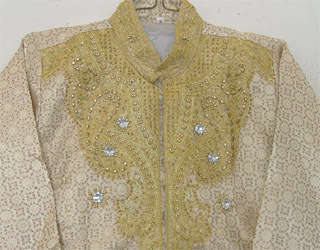 Boys' sherwani suit with extensive sequin embroidery all over. 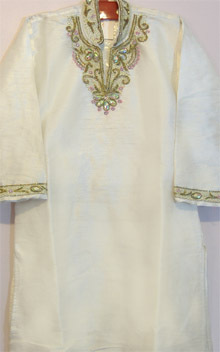 Comes with loose churidar style white cotton pants (with waist drawstrings).